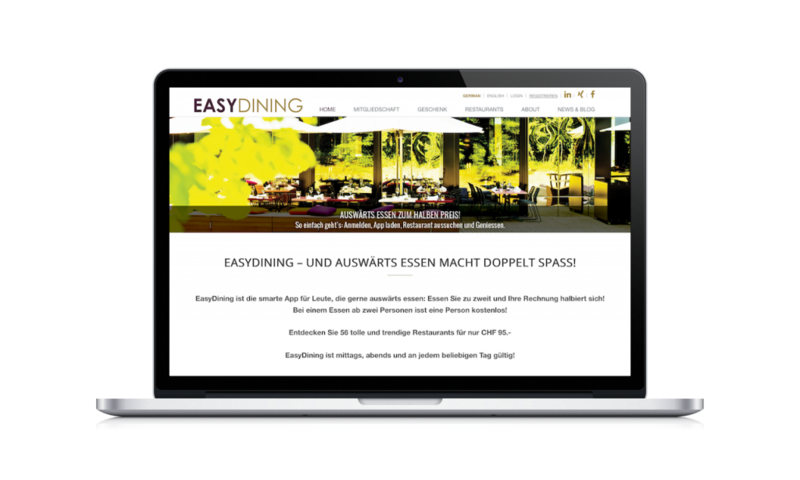 EasyDining pursues the idea of presenting unique, neat and trendy restaurants and encouraging savourers to try out new restaurants and not only visit well-known and frequently visited ones. EasyDining is for people who like to eat out: It cuts your restaurant bill in half, from two or more diners onwards, one person dines for free and with the app you will always find a restaurant nearby. 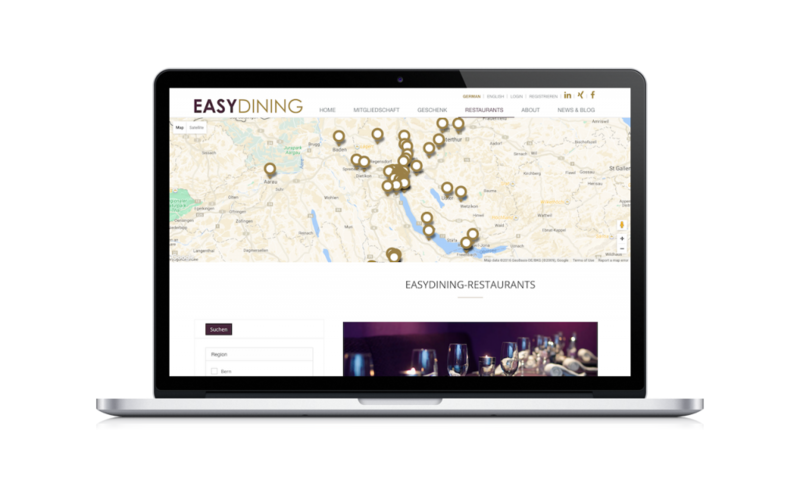 For EasyDining, we have developed a web-based custom solution for managing restaurants and memberships. The portal provides the API for the EasyDining website and the EasyDining apps. 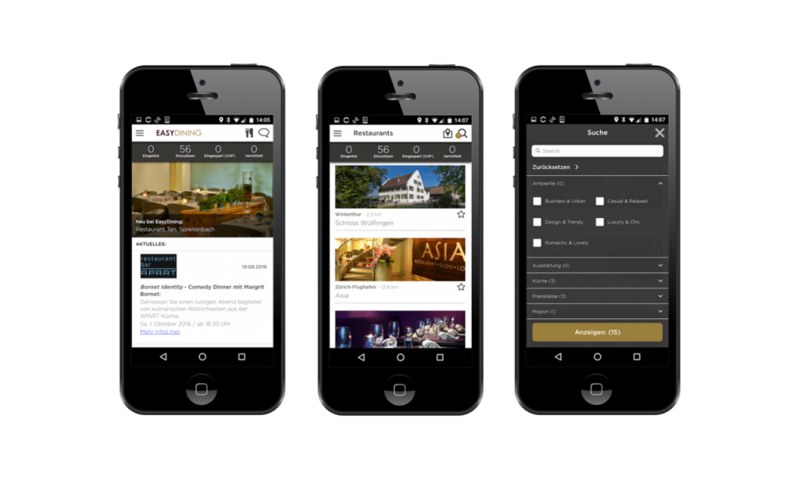 A highlight is the mobile search for restaurants tailored to the users’ own preferences.